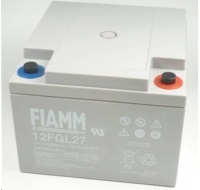 Baterie - Fiamm 12 FGL27 (12V/27Ah) SLA baterie, životnost 10letTyp příslušenství:Baterie náhradní. HP 3PAR 10000 2-port 10Gb Converged Network Adapter CardHP 3PAR 10000 2-port 10Gb Converged Network Adapter Card. HP 3PAR 10000 2m Expansion IEC RackHP 3PAR 10000 2m Expansion IEC Rack. HP 3PAR 10000 2m Expansion NEMA RackHP 3PAR 10000 2m Expansion NEMA Rack. HP 3PAR 10000 4-port 8Gb Fibre Channel AdapterHP 3PAR 10000 4-port 8Gb Fibre Channel Adapter. HP 3PAR 10000 4-port 8Gb Fibre Channel Upgrade AdapterHP 3PAR 10000 4-port 8Gb Fibre Channel Upgrade Adapter. 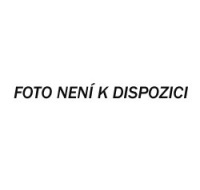 HP 3PAR 10000 40-disk Drive Chassis Rack-mount KitHP 3PAR 10000 40-disk Drive Chassis Rack-mount Kit. HP 3PAR 10000 Upgrade 2-port 10Gb Converged Network Adapter CardHP 3PAR 10000 Upgrade 2-port 10Gb Converged Network Adapter Card. HP 3PAR 100m 50/125 (LC-LC) Fiber CableHP 3PAR 100m 50/125 (LC-LC) Fiber Cable. HP 3PAR 10400 Standalone Rackmount kitHP 3PAR 10400 Standalone Rackmount kit. HP 3PAR 10m 50/125 (LC-LC) Fiber CableHP 3PAR 10m 50/125 (LC-LC) Fiber Cable. HP 3PAR 4GB (2x2GB DIMMs) F-Class Upgrade Controller CacheHP 3PAR 4GB (2x2GB DIMMs) F-Class Upgrade Controller Cache.